work life January 6, 2015 8:00 a.m.
What Do We Give Up When We Become Freedom-Seeking Entrepreneurs? A Lot, Actually. 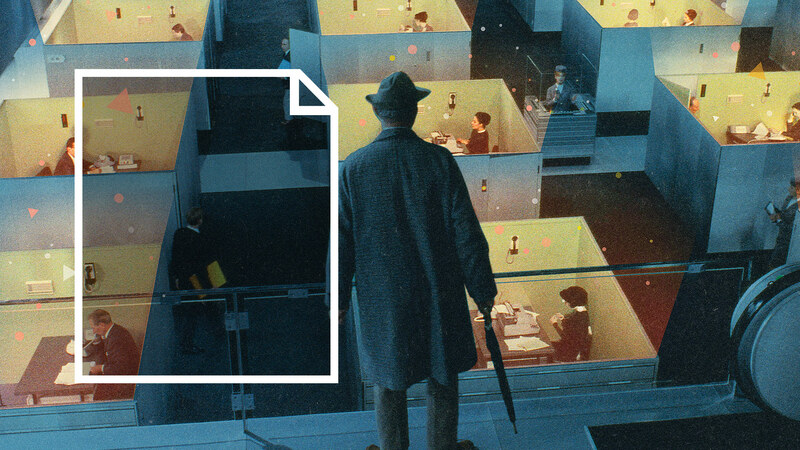 The cubicle may be cozier, and more creativity inducing, than we think. One October day, I sat in on a seminar at the Freelancers Union called “Building a Foundation for Your Freelance Life.” The woman who led it, Michelle Ward, wore bright-red pants and a headband sprouting an enormous plastic flower. Ward is a career coach and the founder of When I Grow Up, which in 2013 made Forbes’s “Top 100” career websites. A woman tentatively raised her hand. Say what you want about the future of work, but this much is clear: The traditional compact between employers and employees is slowly fading away, and with it, a way of thinking, a way of living, a way of relating to others and regarding oneself that generally comes with a reasonably predictable professional life. In October 2010, Intuit, the Silicon Valley–based software company, estimated that more than 40 percent of the American workforce would be made up of “contingent workers” by 2020, a statistic that has since been repeated with almost religious regularity. It’s only conjecture, of course, and skeptics point to the fact that the official self-employment rate in the United States is still hovering at just a shade over 10 percent. But there are plenty of serious people who believe Intuit’s estimate is perfectly plausible. “Forty percent doesn’t sound too high to me if you include all contract workers, part-time workers, freelancers, and individual suppliers,” Robert Reich, the Berkeley economist and former Labor secretary, told me. “At the rate we’re going now, it could be higher than 40 percent by 2020. 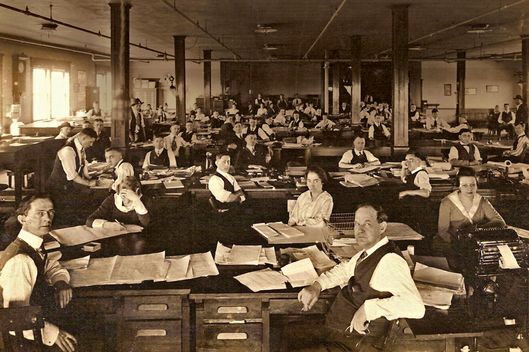 A majority of workers will be on their own by 2030.” Indeed, back in 2006, the Government Accountability Office estimated that 31 percent of the American workforce were already in this position, more or less using Reich’s same criteria. In certain segments of the population, self-employment is markedly expanding—like baby-boomers between the ages of 55 and 64, who, according to a report from the Ewing Marion Kauffman Foundation, make up 23.4 percent of new entrepreneurs. Bully for them, you might say. But it’s not clear how many of these 55-to-64-year-olds willingly made this choice. Kathleen Christensen, who directs the Alfred P. Sloan Foundation’s Working Longer program, suspects many aren’t starting their own businesses because they’ve been seized with a vision or a solution to a problem, as the mythologized version of the entrepreneur supposedly is. “From the research I’ve conducted,” she says, “they often lack other options.” Many are conscripts in self-employment rather than volunteers. There’s now even a term for such workers: “necessity entrepreneurs” (rather than “opportunity entrepreneurs”). Though not a whole lot of work has been done examining the difference between these two groups, what little there is suggests that necessity entrepreneurs aren’t always as successful—or as happy. This transformation will have consequences far beyond a lack of psychological stability and job security for workers. It will change the very nature of work. What are we losing in a future that looks this way? But I recognize that my preference for the grayish creature comforts of the office honeycomb is not the majority point of view. Most Americans—indeed, a plurality of people in many industrialized nations—claim to find the idea of self-employment far more appealing. In 1989, the International Social Survey Programme asked random participants from 11 countries whether they’d prefer being an employee or working for themselves. An overwhelming 63 percent of Americans chose self-employment, as did 48 percent of Britons and 49 percent of Germans. For decades now, the office has suffered a lousy reputation. It’s a cubicled Hades of demoralized proletarians; it’s a glassed-in pasture of innocent cows that at any moment could get carted off to the abattoir. We saw this dim view played out over and over again in the pop culture of the last half of the 20th century, whether in The Man in the Gray Flannel Suit or “Dilbert” cartoons or Office Space, the cult film from 1999 that culminated in Ron Livingston taking a baseball bat to a fax machine. (And in this century, of course, we have Dwight Schrute’s stapler entombed in a Jell-O mold.) Saval chronicles these visions and dozens more in Cubed, ultimately implying there’s an irresolvable tension between white-collar workers and management: You may love your work, but the company you work for will never love you back; your office may be designed for maximal autonomy and self-determination, but you are not, in the end, autonomous and self-determining. 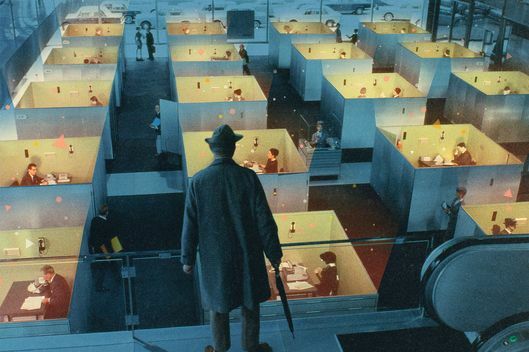 Offices are factories in drag, their indifference to your life reflected in their most basic unit of design, the cube. Even if management is experimenting with the latest design fads (volleyball pits between desks! Workbenches! No assigned workstations at all! ), its efforts will inevitably regress back to the cube. No matter how much lipstick you put on it, the cubicle, with its burlapped walls and push-pinned art, will inevitably be the office pig. Why, then, do people build attachments to those cubes—or “freak out,” as Stybel puts it, if they have nowhere to go? What hidden comforts, apart from economic stability, does the company office provide? Well, there’s kinship, for starters. Offices are fundamentally social ­places, and in an age of dwindling social capital, in which Americans are less and less apt to visit with neighbors, join civic organizations, or have their friends over to dinner, having a community of professional peers is no small thing. According to a study commissioned by a Brooklyn-based organization called Lifeboat, 36 percent of adults have met at least one of their closest friends at work (and that’s on average: The number rises with successive generations, topping out at 50 percent for baby-boomers). Colleagues know your strengths and weaknesses. They know where the bodies are buried in your particular organization and its secret folkways, or what organizational psychologists call “informal information systems” (all that good stuff that’s not in official memos); over time, they’ll share that information with you, and it’ll make you work more shrewdly and efficiently. The mere fact that they’re there at all—in one place, at one time—probably makes a difference: Who on earth does their best work in a vacuum? Wait, I ask him. Doesn’t that mean telling millennials to go work in an office? The very thing so many of them purportedly disdain? Colleagues are a tangible benefit provided by organizations. But perhaps the most profound benefit is intangible: They help forge identity. At first blush, this notion may sound laughable, or at least paradoxical, given the office’s reputation as a wasteland of depersonalization. But Sue Ashford, a management professor at the University of Michigan who’s written thoughtfully about nonstandard work, notes that offices provide a “holding environment”—a psychoanalytic term coined by Donald Winnicott—to contain our existential anxiety. Which raises the question of whether certain types of people are better suited to the new freelance economy—namely, those who can tolerate frequent longueurs and stoutly withstand rejection. a sample of college alums from the same southeastern university and found that the qualities of “proactiveness,” “insight” (focus and self-awareness), and “openness” were the most definitive predictors of success in the boundaryless work economy. The other quality that seems essential to this way of life is extroversion—or, at the very least, a willingness to network, accumulate contacts, and promote one’s own work. “It’s not just doing the work. It’s acquiring the work,” says Schawbel of Millennial Branding. Schawbel is a good example: He published more than 23 articles in the run-up to his latest book, Promote Yourself, in order to drum up attention; at his book launch, he mentioned that he’d spent three and a half years trying to get himself on the Today show before he eventually succeeded. It’s something many American office workers still clearly believe themselves to be. A few years ago, Jeffrey Pfeffer published a paper called “Working Alone: Whatever Happened to the Idea of Organizations as Communities?,” in which he let loose a stream of damning statistics: Fewer than 40 percent of U.S. workers trust their companies to keep their promises; 52 percent don’t believe what management tells them; 67 percent “do not identify with or feel motivated to drive their employer’s business goals.” If that’s the case, why not break free? “We’re between two universes right now,” says Sara Horowitz, the founder of the Freelancers Union. “There’s no robust safety net, yet there’s no going back to the old way.” If the future means less stability, she says, the least her organization (and others like it) can do is make the world seem more navigable, providing services large employers once did. “We’re trying to make freelancing a really good way of life,” she says. This isn’t hyperbole. According to an analysis done by Economic Modeling Specialists International, a firm Florida often uses for his research, the median wage for freelancers in arts and design in New York City is $17.46 per hour; for contingent food-service workers, on the other hand, it’s $7.62. What’s more, the wages of freelance artists and designers in this city exceed the national median by $1.30 an hour, whereas the wages of food-prep workers are $1.51 per hour less. The freelance economy, in other words, is especially punitive to the unskilled in this city. The very words we use to describe these two sets of workers have embedded class distinctions: We reserve freelancer, with the word free in it, for the educated, because it implies a lifestyle of creativity and self-determination (even if its realities might be unstable). The term contingent worker, on the other hand, suggests you are just that, contingent: disposable, clinging to the outside and looking in, without any agency at all. According to the Government Accountability Office, nonstandard workers have both more education and less than traditional workers, depending on the type of work they do. And it is the less-educated workers about whom we should be most concerned as the world of work evolves.